Buying a Unit in Jade Ocean Condominium Sunny Isles Beach? Are you interested in investing in the oceanfront luxury residential properties? In the present era, the luxury condominiums have gained a great momentum among the condo buyers around the world. The popularity of the luxury condominiums situated in the beautiful beachside destinations is mainly due to the range of amenities these luxury residential properties have to offer. South East Florida is well known for introducing luxury condominiums which have gained a momentum and have been most popular selling real estate properties around the world. In fact, the real estate market in Miami area has been booming and the properties have seen quite an appreciation over the years, especially the luxury condominiums. The evolution of luxury oceanfront condos in the high-rise buildings have redefined the way people enjoy the luxury living. Beautiful beaches in a tropical climate are usually the most attractive travel destinations to people. However, with the emergence of the luxury condominiums, these destinations have turned into a highly desirable residential area. The Jade Ocean condominium in the Sunny Isles Beach is one of the magnificent luxury real estate residences that attract a great number of condo buyers around the world. This 51-story high condominium tower offers 256 spacious units that are exclusively designed and decorated. If you want to acquire the best luxury home buying experience, then consider getting in touch with the well-known realtors for buying a unit in this condominium. 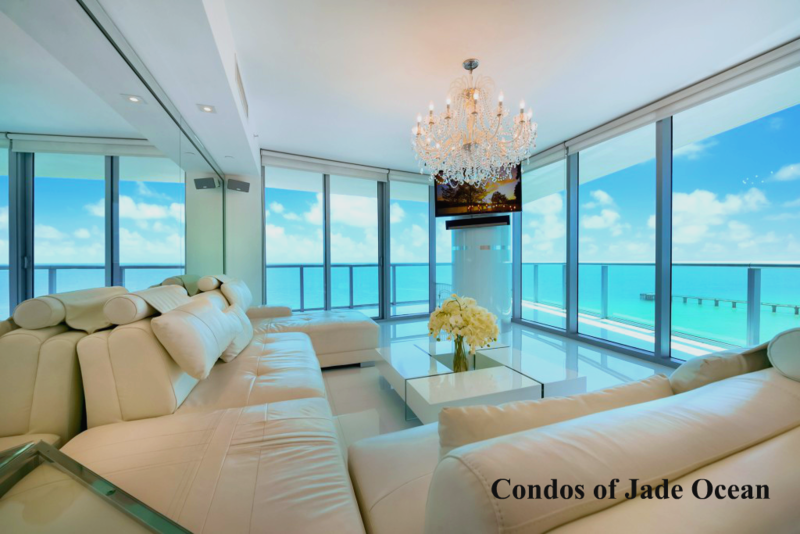 If you are interested in an oceanfront lifestyle, then consider buying a luxury residence in Jade Ocean condominium. This condominium tower provides striking features and facilities and enables a highly sumptuous coastal living experience for the people. To obtain a unit in the Jade Ocean condominium you can get in contact with the sales person of One Sotheby’s International Realty Sunny Isles Branch. For any further information about this condominium please visit the official website of the real estate company or you can also call our office of One Sotheby’s International Realty at (305)336-0457.